Though some switch panels consist only of a flat panel that must be mounted in a dashboard or instrument console, others are full enclosures with a top, sides and a bottom. Switch Panel – Sytek Enterprises Inc. In a switch panel, holes in the back or bottom panel allow cables and cords to be run in and out of the switch panel. The wires, terminals and other components are hidden within the plastic, metal or wooden housing while the switches themselves are mounted on the panel’s face. Switch panels provide a clean, organized look while retaining the function of the switches themselves. These panels are often modest in size, ranging from a few inches in length and width to a foot or more. In an airplane cockpit, switch panels may occupy several square feet. Switch panels are widely used in residential, commercial and industrial settings. Multiple light switches that share a faceplate could be considered a switch panel. Control panels that are used to operate a manufacturing line or control robotic assembly are usually switch panels. Electronics consoles and instrument panels in automobiles and watercraft are also switch panels. Switch panel manufacturers produce a wide variety of models that are used in recreational vehicles, marine applications, heavy equipment, emergency equipment, public transportation and carriages. Because of the high demand and need for switch panels and the variety of situations they are used in, many manufacturers use computer software programs to design customized switch panels. Size, shape, colors and materials vary depending on the application. Many industrial panels are constructed from sheet metal that has been cold-rolled to create a thin, strong, lightweight and durable surface. Stainless steel is corrosion resistant and is best for use in harsh environments where the switch panel will be subject to water and dust. 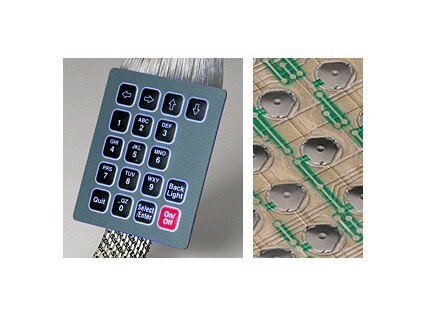 Other panels are made from plastics, composites and acrylic materials such as ABS or PVC. Paint film or foil laminates add color. Indicator lights or displays are also available. Electroluminescent, LED or incandescent light shines through small cut holes or symbols in either the switch actuator itself or on the panel. The switches that are mounted on the panel’s surface are often rocker switches that click into place when rocked in one direction so that one side is down while the other is elevated. Toggle switches are a more traditional and industrial option where an upright lever or handle is flipped into place. Push button switches are small, shaped buttons that operate when depressed. All kinds of switches generally work in the same way: an electricity-conducting actuator is moved into contact with a terminal, closing the circuit and allowing the current flow to pass through the switch. Switch Panels A switch panel allows users to quickly access a series of mounted electric switches that are arranged in an enclosure.